The purpose of this article is to review the imaging characteristics of musculoskeletal tuberculosis. Skeletal tuberculosis represents one-third of all cases of tuberculosis occurring in extrapulmonary sites. Hematogenous spread from a distant focus elsewhere in the body is the cornerstone in the understanding of imaging features of musculoskeletal tuberculosis. The most common presentations are tuberculous spondylitis, arthritis, osteomyelitis, and soft tissue involvement. The diagnostic value of the different imaging techniques, which include conventional radiography, CT, and MR imaging, are emphasized. 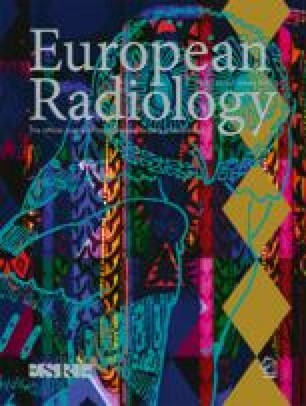 Whereas conventional radiography is the mainstay in the diagnosis of tuberculous arthritis and osteomyelitis, MR imaging may detect associated bone marrow and soft tissue abnormalities. MR imaging is generally accepted as the imaging modality of choice for diagnosis, demonstration of the extent of the disease of tuberculous spondylitis, and soft tissue tuberculosis. Moreover, it may be very helpful in the differential diagnosis with pyogenic spondylodiscitis, as it may easily demonstrate anterior corner destruction, the relative preservation of the intervertebral disk, multilevel involvement with or without skip lesions, and a large soft tissue abscess, as these are all arguments in favor of a tuberculous spondylitis. On the other hand, CT is still superior in the demonstration of calcifications, which are found in chronic tuberculous abscesses.